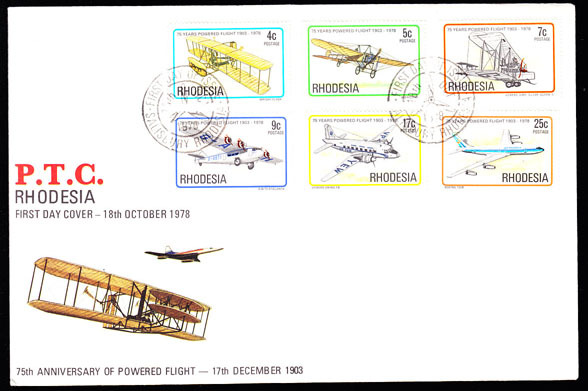 15501 FDC RHODESIA (1978) Various planes. Registered FDC unaddressed. Scott Nos 408-13. 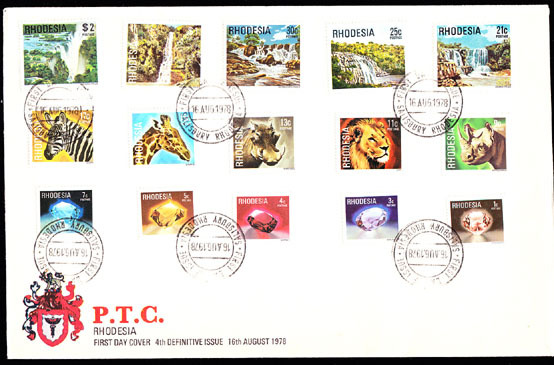 16654 FDC RHODESIA (1978) Minerals. Animals. Waterfalls. Official unaddressed FDC. Scott Nos 393-407.